This is my page designed to be hosted on Amazon's Cloud architecture. 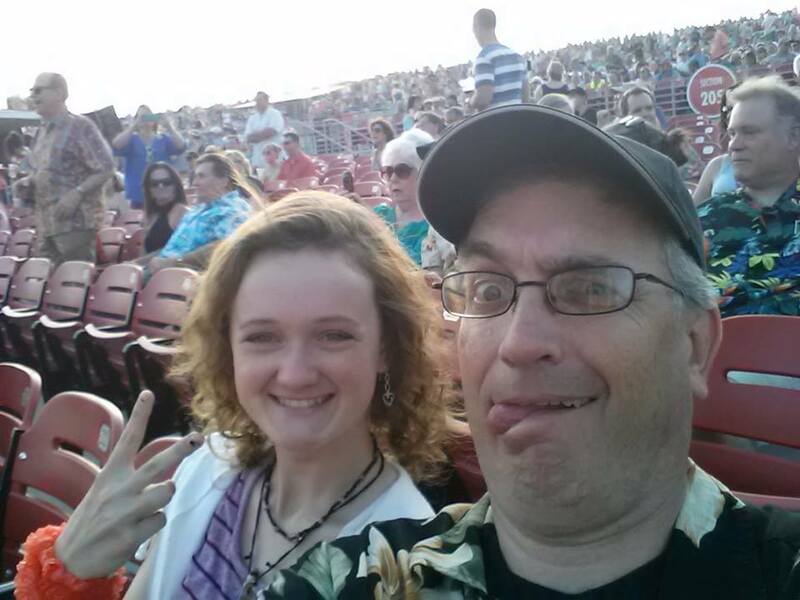 This photo is of myself and my daughter Tori when we attended the Jimmy Buffett concert in Austin. Fins Up! This is a complete redesign of my old website. OK, my old website had been stting around since 2005 and it's been a while since I've touched it, I'll give you that. It hd been graciously hosted by my friend and cohort in crime Ed Schipul, but with a change in his hosting process, it was time to move my site to it's new home. So - here we are inside of Amazon's AWS architecture. The static site is held within S3, and distributed worldwide using CloudFront. I just completed the AWS Sysops class, so keep an eye out for some enhancements (unless I break things) coming soon to this and possibly other sites too!! Be sure to visit Boundless Knights, a new site built by Alex. Twilight Equilibrium was Alex' old website, but has since been reincarnated. This site is back up, and now fully hosted within Amazon Cloud. So far this is more of an experiment on hosting capabilities, as is my home site ki5dr.com.